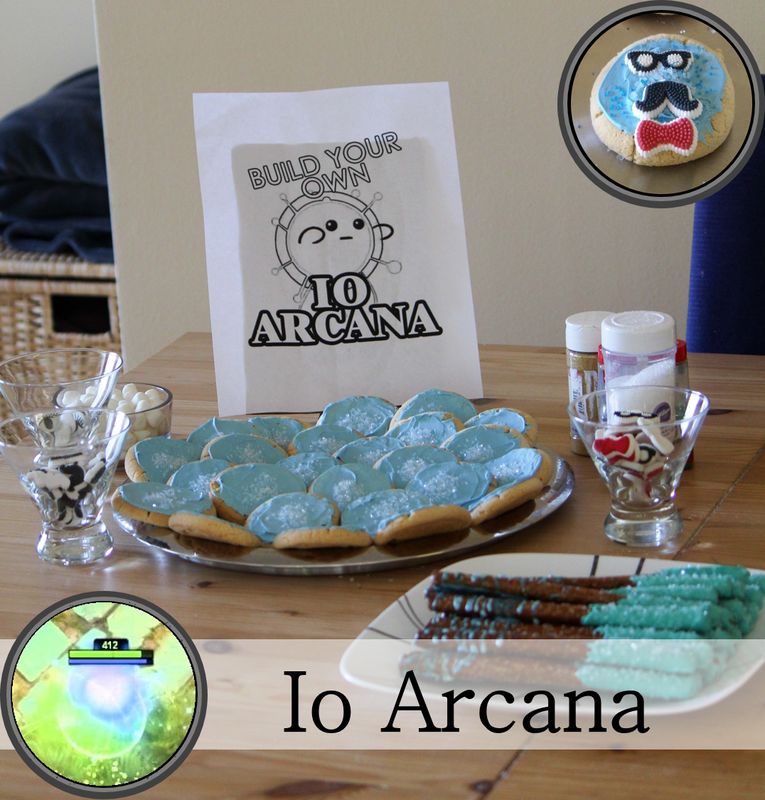 I had so much fun making Dota 2 snacks for The International 5 last year, so I had many months of anticipation building up for the TI6 finals (not least because of the amazing games in the preceding two weeks!). See what we came up with below! Aghanim's Scepter Madeleines - recipe here. Sheepstick lamb kabobs - recipe here. 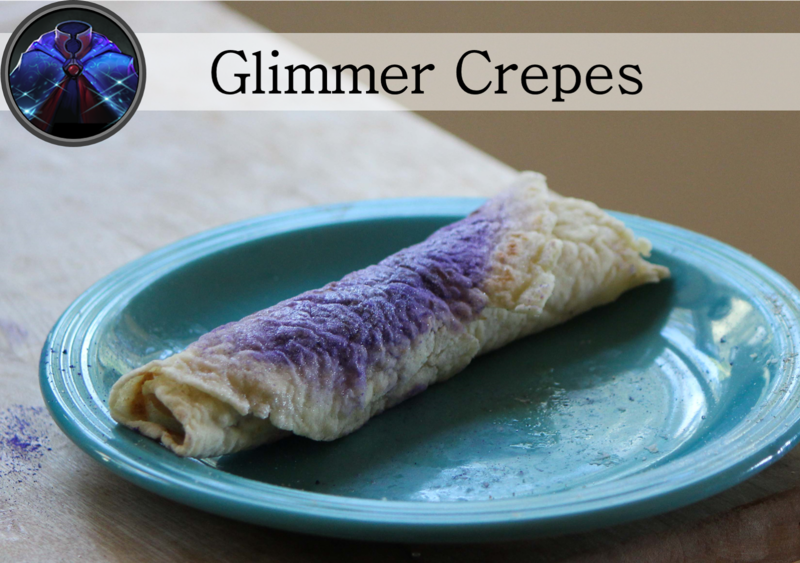 Your favorite crepe recipe, served with purple and silver luster dust for the sparkle. 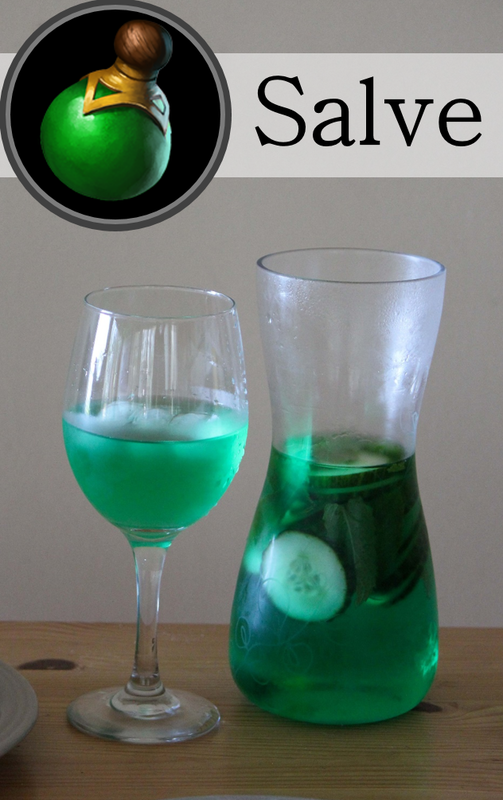 In contrast to my TI5 Viewing Party salve, this incarnation is made from cucumber & mint infused water. 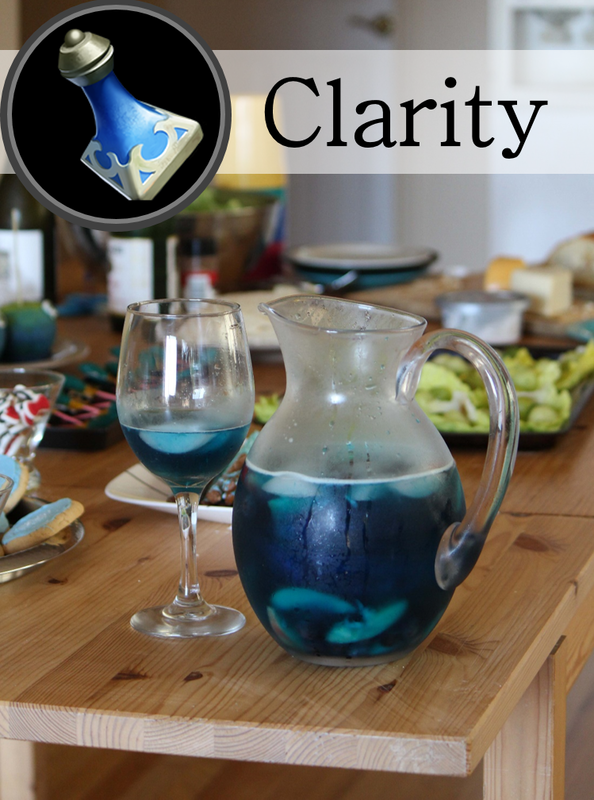 To make this non-alcoholic alternative to the boozy sweetness of the Clarities, muddle slices from half a cucumber with ~20 mint leaves, pour in 750 mL sparkling or regular water. Color liberally with green food dye. Chill for 2 hours and serve. Chocolate-Coated Pretzel Magic Sticks - recipe here. 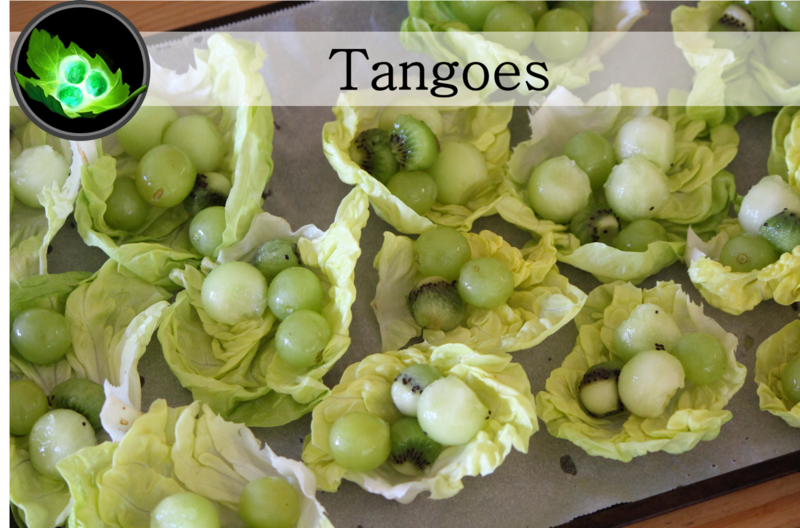 Tango Fruit Salad - recipe here. Observer & Sentry Ward Candy Apples. These were... experimental. 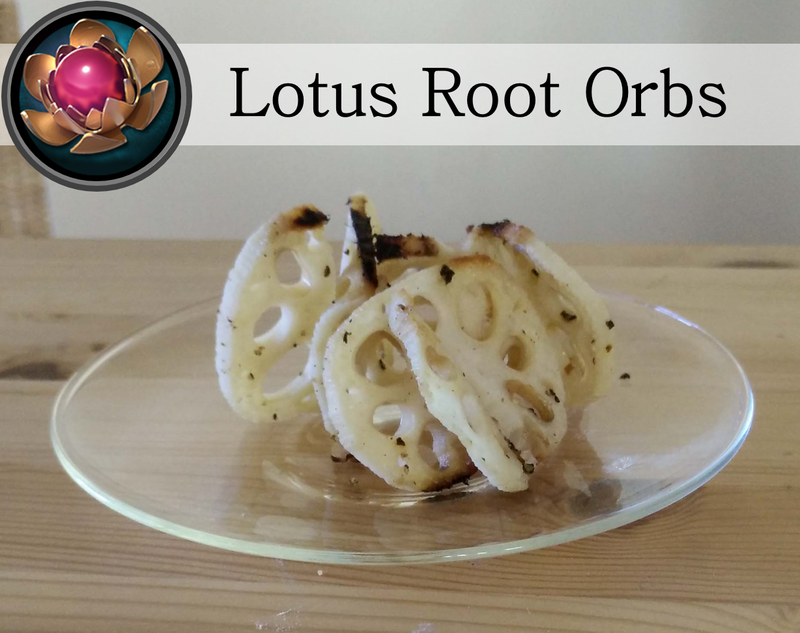 We sliced lotus root, and added notches for assembling into orbs. We then seasoned the slices in oil, salt and pepper, then assembled them and baked them. They tasted good, but the presentation could be better. 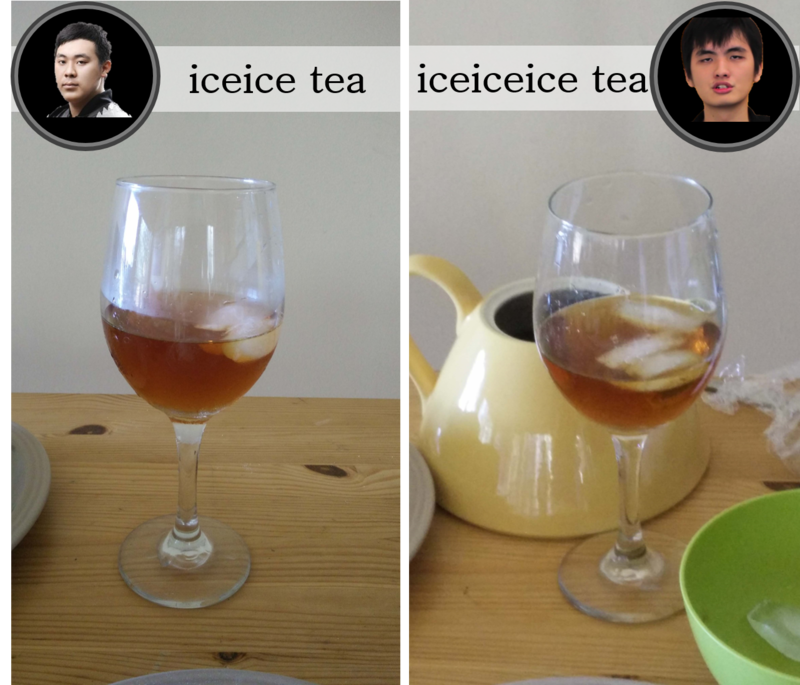 For the memiest drinks, steep your favorite tea and chill before serving with 2 or 3 ice cubes. Sugar cookies, iced with blue frosting. We also served marshmallows, chocolate chips, bow-ties, glasses and mustaches. The Best: My favorite dish was the sheepsticks - they turned out amazing and looked super cute. I loved the individual serving-sized tangoes, which was much easier to snack on compared to one large serving bowl like I did last year. After that, it was probably a tie between the magic sticks and the Aghanim's scepters. Last year, I felt like I was a little overloaded with sugar. This table was still heavy on the sweets, but there were more savory and unsweetened options. Switching the salve from lemonade to flavored water, for example, helped balance out the other options. Room For Improvement: The lotus root orbs is a fun pun, but I'm going to work on execution. 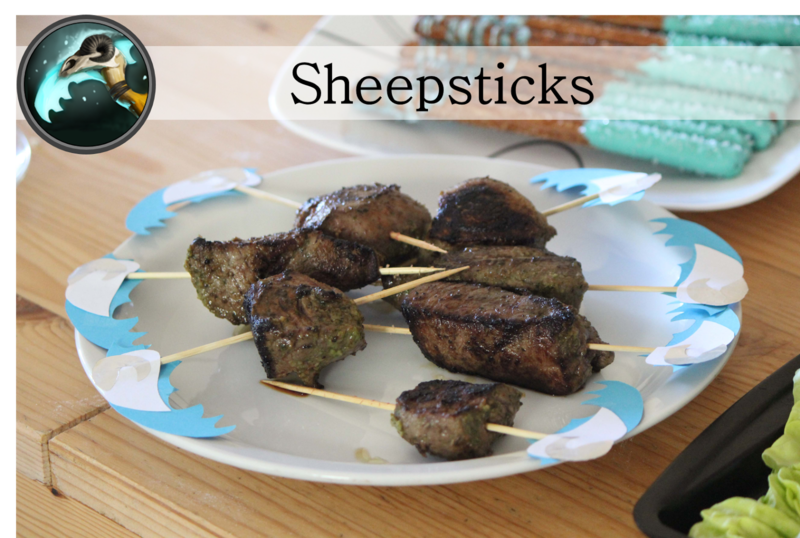 As far as dota 2 pun-based foods go, I'm much happier with how the sheepsticks turned out. I have some ideas for building on this concept for next year, with ways to include the pink round part of the lotus orb in the food concept. 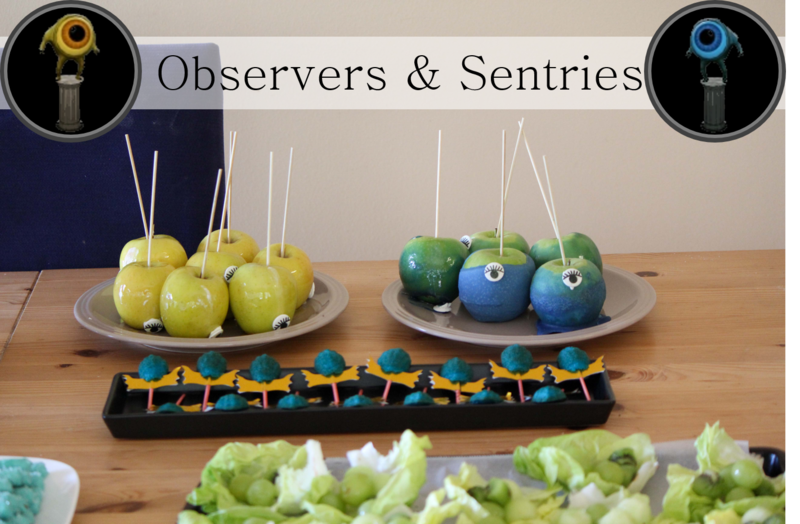 I wasn't in love with the Observer and Sentry cake pops from last year, and the candy apples were also not perfect. I think my forays into candy-making will have to wait until I get a thermometer that goes that high. I suppose I have another year to come up with observer and sentry food ideas - let me know if you have any thoughts! Valve Please Give Wisp Arcana: I was disappointed in the lack of Io arcana, but at least I got to make one for myself! 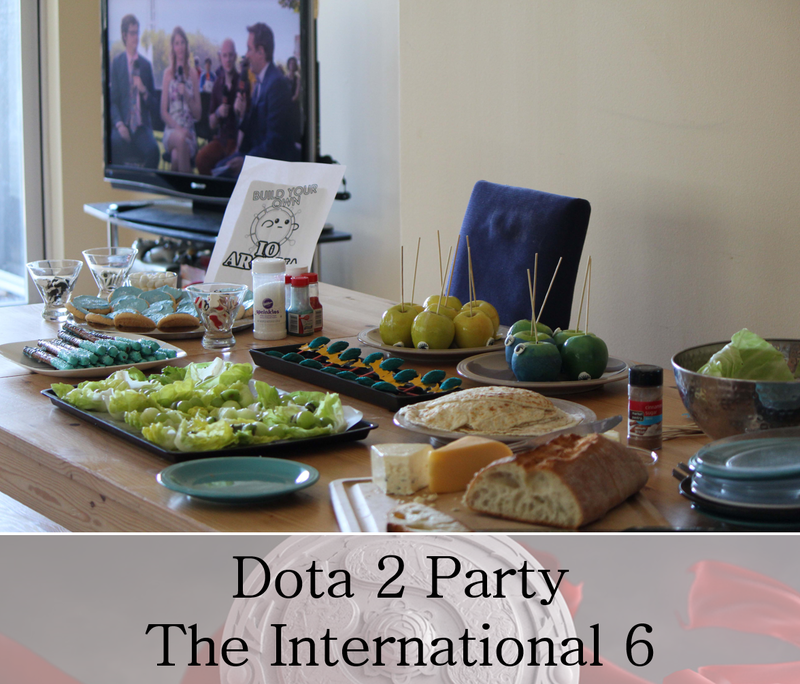 The juggernaut triumph over Io reminded me of my also ironically themed Highgarden Game of Thrones Season 6 party. I should start making food about the characters I'm rooting against! 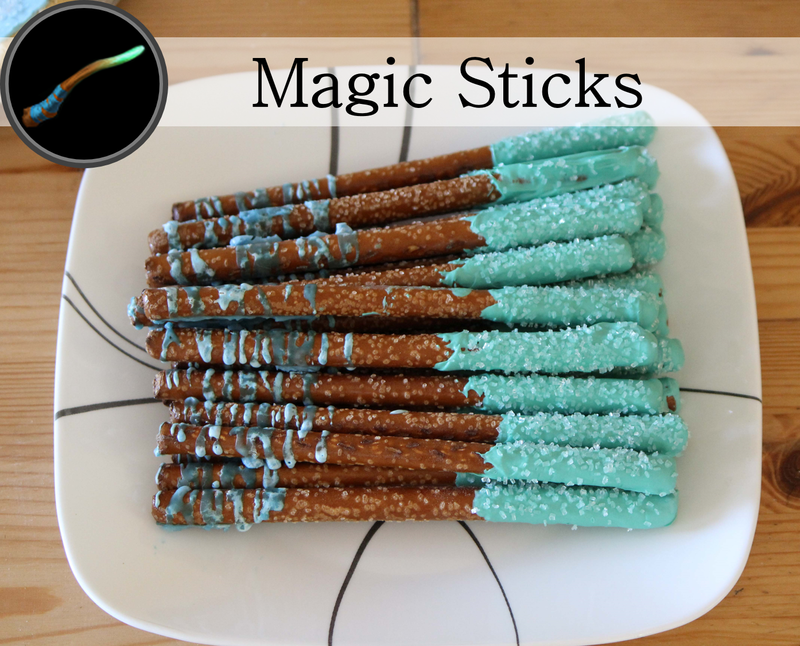 Where to start: If you're looking to make a Dota 2 snack and you're a beginner in the kitchen, I would suggest the tangos or the magic sticks. If you're looking for something a little more challenging, the madeleines are rewarding and delicious. Can't wait for the next season of Dota to begin!